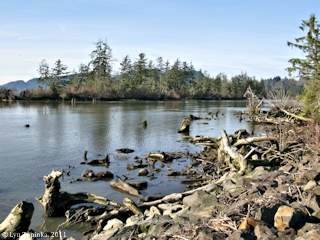 "Cascadia Quake, January 26, 1700"
Click image to enlarge Price Island, Washington, with Steamboat Slough. Image taken January 26, 2011. Between 9:00 PM and 10:00 PM, local time, on January 26, 1700, an large earthquake, now called the "Cascadia Megathrust Earthquake" or "Cascadia Quake", shook the Pacific Northwest. This quake had a magnitude estimated at 9.0 on the Richter Scale. It was located 60 to 70 miles off the Canada/USA coast and "it likely broke at least 1,000 kilometers of the boundary between the subducting Juan de Fuca Plate and the over-riding North America Plate - a rupture about as long as California" (Atwater, et.al., 2005, USGS Professional Paper 1707). The quake rocked the region with strong shaking for several minutes while parts of the Washington coast fell nearly 4 to 5 feet relative to coastal waters. The quake created a wave estimated at 33 feet high. Ten hours later a 6- to- 10-foot-high tsunami arrived on the east coast of Honshu Island, the main island of Japan, destroyed towns, and inundated 600 miles of Japanese coast. The Japanese call the tsunami their "orphan tsunami" because no earthquake was felt in Japan. 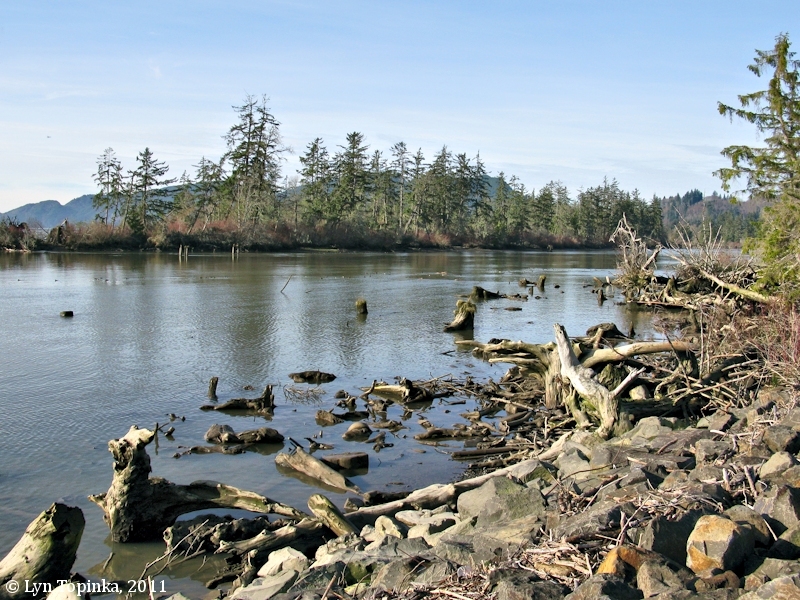 Trees which survived the January 1700 quake and the downdropping of the Washington shore have been found in the Lower Columbia River Estuary, including locations on Price Island, Washington, and along Blind Slough and Prairie Slough, Oregon. 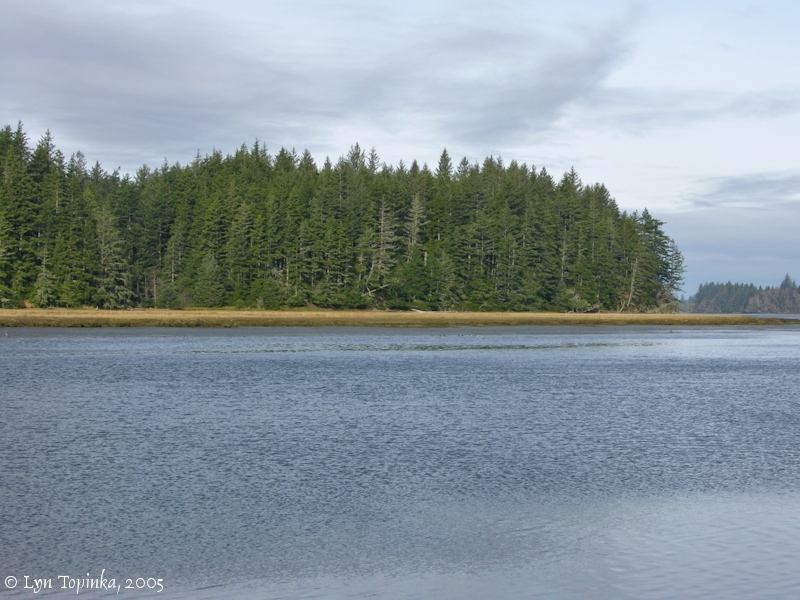 Researchers are studying tree-rings of red-cedar tree trunks and Sitka Spruce trunks standing in tidal wetlands of four Washington State estuaries - the Copalis River, Grays Harbor, Willapa Bay, and the Columbia River spots of Price Island and Blind Slough.